Planning for the future can help you find peace of mind in the present. A trust is a very effective way to ensure that this occurs. But unlike a last will and testament, which can be fairly straightforward in some cases, setting up a trust is usually more complex so it’s crucial that you have an experienced West Palm Beach estate planning lawyer who can assist with the process. 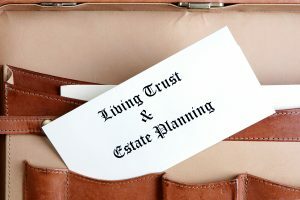 There are many different types of trusts which make them a very versatile estate planning tool. You can achieve a number of objectives, from creating family trusts and tax planning trusts, to trusts designed to care for your needs if you’re ever incapacitated in the future. You can even create a trust to care for your pets! If you’re seeking an attorney for wills and trusts, turn to the legal team at The Law Offices of Thomas J. Lavin. We can assist with all of your estate planning needs, from all types of trusts, to living wills, power of attorney forms, health care proxies, last will and testament forms and beyond. At The Law Offices of Thomas J. Lavin, our West Palm Beach estate planning lawyers endeavor to help you prepare for the future and any eventuality that may arise. When you work with a law firm that’s experienced in living trusts, family trusts, tax planning trusts and other aspects of estate planning, you can rest assured that your assets and estate will be managed in a manner that’s consistent with your wishes. The West Palm Beach attorneys with The Law Offices of Thomas J. Lavin are available to discuss your estate planning needs in a free and confidential consultation session. Call 561-557-4546. 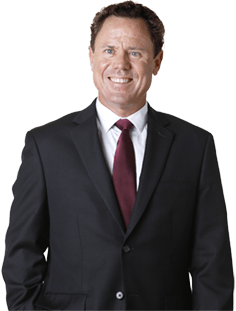 Serving clients in and around the area of West Palm Beach, attorneys with The Law Offices of Thomas J. Lavin routinely receive inquiries about trusts and estate planning. Trusts can be a very useful tool for managing your finances and assets in life and after death. In an effort to help answer some of our clients’ questions, our West Palm Beach law firm has compiled information on some of the most commonly asked questions about estates and trusts. A trust is an independent entity that is used to manage assets and money now and in the future. Funds and assets may be placed into the trust, at which time they become subject to the rules that you have established for their disbursal or usage. In the case of a living trust, you can manage and access your assets and finances with ease. Family trusts may also be established to care for your loved ones, including children, parents, and even pets. You may also leave your estate in a trust for inheritance to your heirs. There are many different types of trusts so your estate planning lawyer will play a vital role in helping you determine which kind of trust is best for you. A trustee is the individual who manages the assets and funds on behalf of the trust’s beneficiary or beneficiaries. You can include specific directions that govern the trustee’s actions. In life, you may appoint yourself as a trustee on a living trust. You can also have multiple trustees, called co-trustees. In the case of a revocable trust, you can include verbiage that appoints a third party to manage your affairs if you are incapacitated. What’s the Difference Between a Revocable and Irrevocable Trust? Trusts come in two basic forms: an irrevocable trust and a revocable trust. An irrevocable trust usually transfers assets out of your estate, but it cannot usually be altered by you, the grantor, after it has been executed. In essence, you lose control over the assets in the trust and lose the ability to change its terms or dissolve it. A revocable trust, also called a living trust, is a more popular choice during the grantor’s lifetime. It allows you to transfer assets out of your estate, but you remain in control of the assets throughout your lifetime. You can alter or even dissolve the trust at any time. At the time of your death, it’s common for a revocable trust to convert into an irrevocable trust. What are the Benefits of Trusts in Estate Planning? A trust offers a number of benefits. One benefit is the versatility. There are many different types of trusts which can be used to accommodate your exact needs. You also have greater flexibility with a trust, which can include stipulations and conditions for receiving money or assets. You can also allow for unique arrangements. For example, if you wanted to put aside money and real estate to ensure the continued care of your pets and horses, you could achieve this with relative ease using a trust. Trusts also offer greater privacy, as they are not necessarily entered into public record as is commonplace for a last will and testament. Trusts, in estate planning, also offer a benefit in terms of financial savings, since if you can avoid probate, then this results in decreased court fees and legal fees. Tax planning trusts are also very popular, as they allow you to enjoy a number of tax benefits, such as reducing and even eliminating federal estate taxes. Can a Trust Avoid Probate? In some cases, placing your assets within a trust can enable you to avoid probate, making those assets available sooner than they would be available if you used a last will and testament. The latter is often subject to probate. Theoretically, the trust (an independent entity) holds the assets, not the deceased individual. And after your death, the trustee can continue to manage the trust. But in some cases, such as an estate involving a revocable trust, it may still land in probate. The Florida laws concerning probate, trusts and wills are rather complex. What’s more, each state’s regulations are unique. So it’s best to speak with one of our estate planning attorneys to learn more about what options are available to you. Can I Change the Terms on My Living Trust? As long as you are competent and of sound mind, you have the ability to alter the terms of your living trust (a revocable trust) as you see fit. You may also revoke and dissolve the trust if you wish. Trusts, in estate planning, offer great versatility. They also offer many benefits in life. Trusts and inheritance tax planning can be rather complex. For this reason, it’s very important to turn to an experienced West Palm Beach attorney for wills and trusts. Each state has its own unique requirements and laws, so you need a local West Palm Beach lawyer who can help with trusts and estate planning needs. Regarded as some of the most West Palm Beach estate planning attorneys, the legal team at The Law Offices of Thomas J. Lavin can assist with all of your estate planning needs, including all types of trusts, power of attorney forms, Florida health care proxy forms, last will and testaments, living wills and beyond. Establishing a trust can not only bring benefits in life, but you’ll also enjoy peace of mind knowing that your loved ones will be cared for after your death. If you need help with living trusts, family trusts, and estate planning, contact The Law Offices of Thomas J. Lavin to discuss your needs in a free and fully confidential consultation session. Call 561-557-4546.